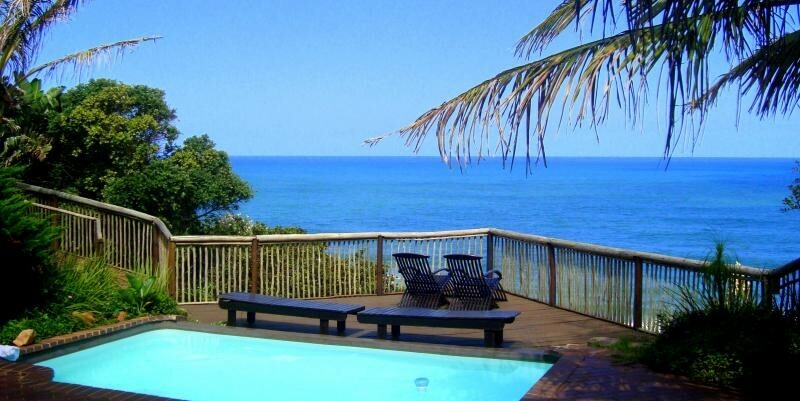 African Peninsula is located on 7500 sqm of prime coastal land predominantly covered by dune vegetation and tropical gardens with 14 guest suites that sleep 30 guests, a restaurant & 2 swimming pools for you to cool off on hot summer days. We are perfectly situated in a relaxing tropical environment but close to all the amenities of a city - shopping, business, industry, & a wide variety of entertainment. We are almost in the heart of the city but it feels like we are on a tropical island! Our unique restaurant with stunning sea views, stunning cuisine prepared by our full time chefs is a definite must on your to do list. 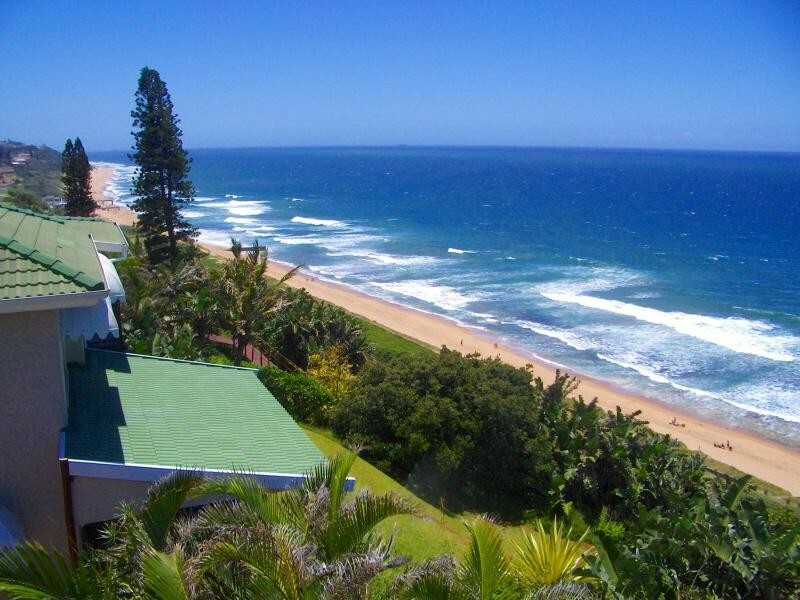 We are perched on the edge of the Indian Ocean and enjoy stunning sea views from dramatic storm clouds, to serene sunrises, dramatic whale sightings, playful dolphins in the surf, tranquil blue & turquoise water on a hot summers day, thundering waves that delight our surfers - the ever changing mood of our sea views are a sight to behold! To sit on your private deck and experience the sounds of the ocean and our natural life that surrounds us from the hum of the Christmas beetle, the shrill of the yellow billed kite, the rain cry of the purple crested Lurie, the chatter of the monkeys ..... it all connects you back to roots & refreshes your soul. 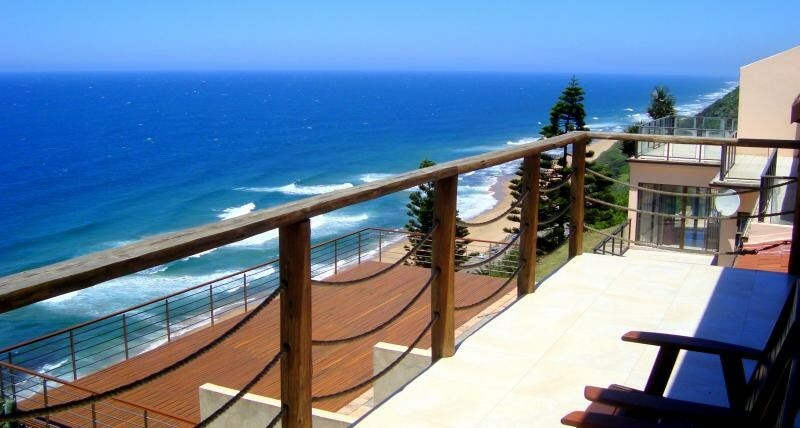 The African Peninsula Guest House boasts 14 fully appointed en-suite bedrooms which will no doubt satisfy your every need and desire (13 sea facing). All rooms offer stunning sea views air conditioning, DSTV Multichoice, mini bar, telephones, Internet enabled and reflect the luxury and comfort for which they have become renowned.